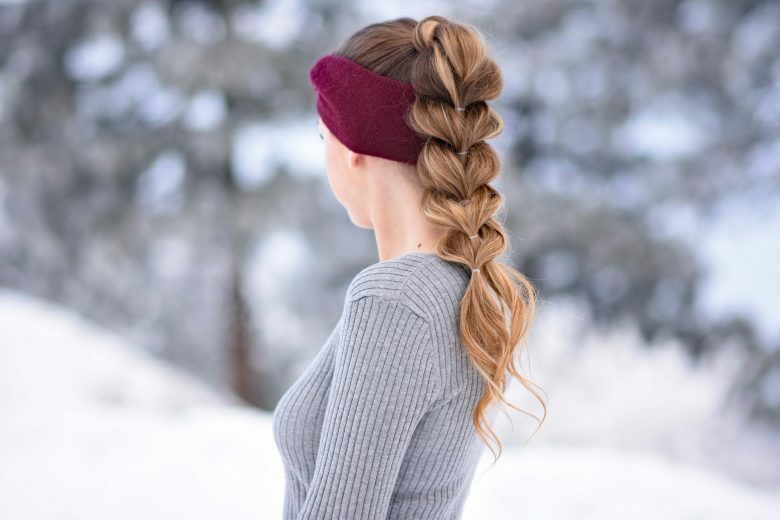 This hairstyle is one to add to our growing list of Stacked Braids. 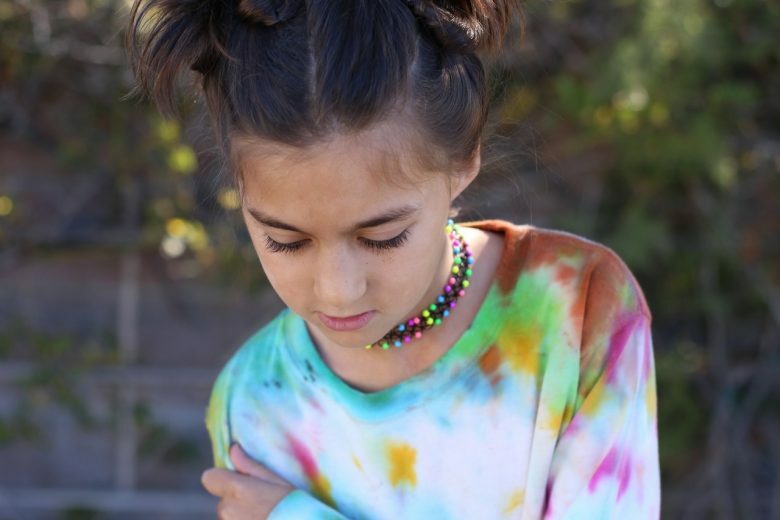 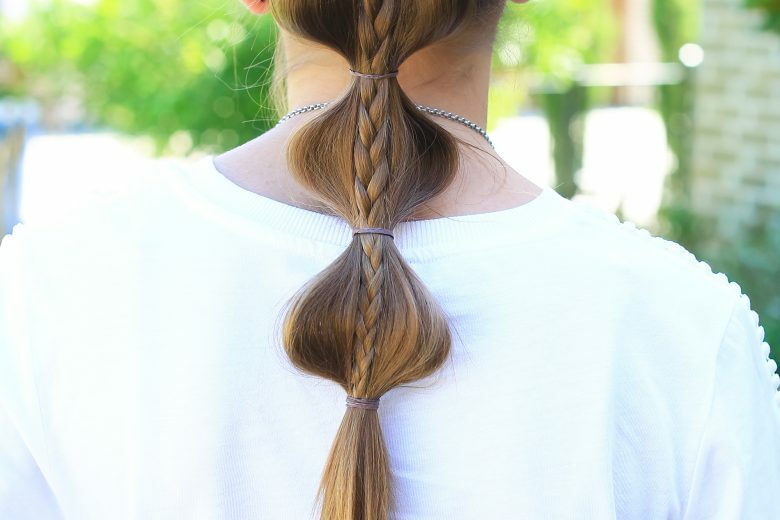 Simply take a 3 strand brand and combine/stack it on a bubble ponytail! 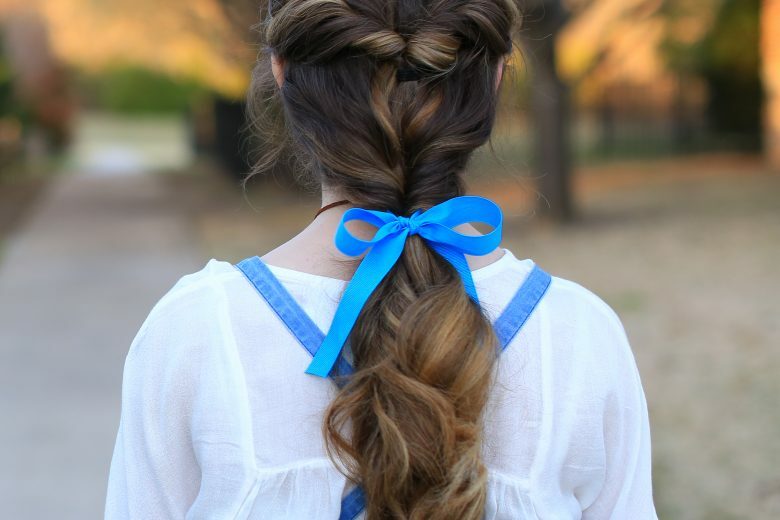 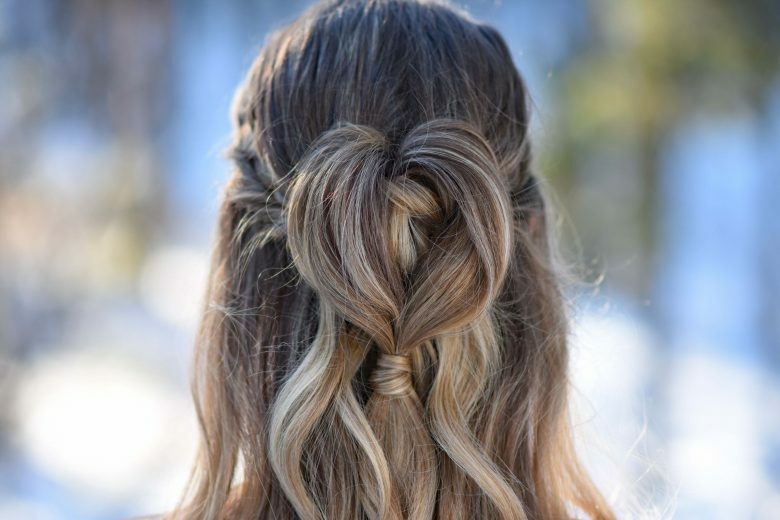 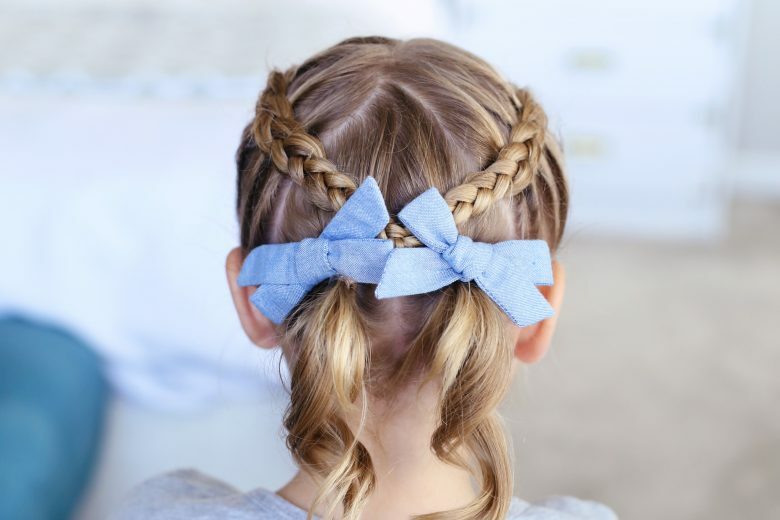 We love how a stacked braid can take an everyday hairstyle to a creative “WOW” hairstyle! 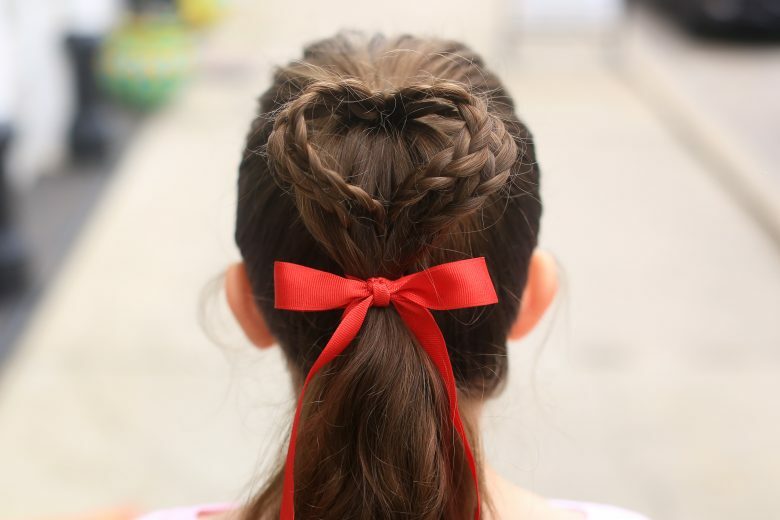 It is very easy to create or DIY!